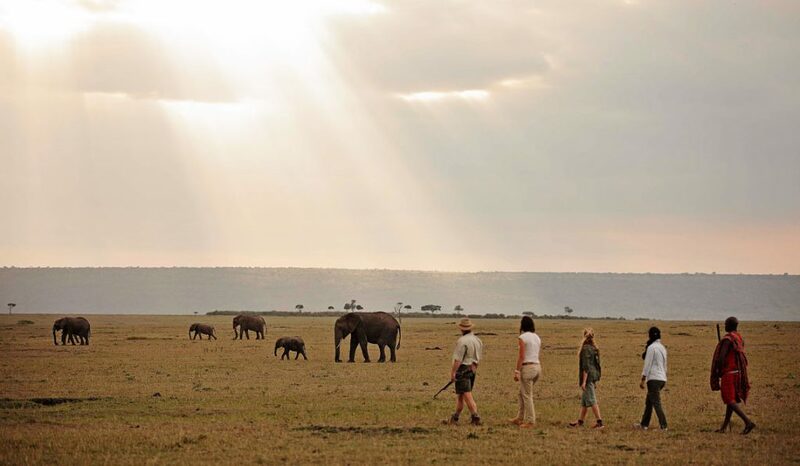 Located in the remote Mara North Conservancy, the heart of the Mara ecosystem, Elephant Pepper Camp is the perfect base from which to explore the uniqueness of the Mara. The Elephant Pepper Camp is perfect for those who are looking to observe the spectacle of the great annual migration of the Maasai Mara classified as the “Seven Wonders of the World” when from July to November over 1.3 million Wildbeest nd Zebra cross the Serengeti in search of greener pastures. 8 Luxury Tents, all en- suite- 4 double and 4 twin decorated with the Indian Raj furniture, mixing dark wood with intricate brass fittings. 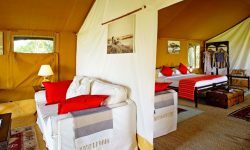 Family Tent is available for Honeymooners and families who wish to stay together.